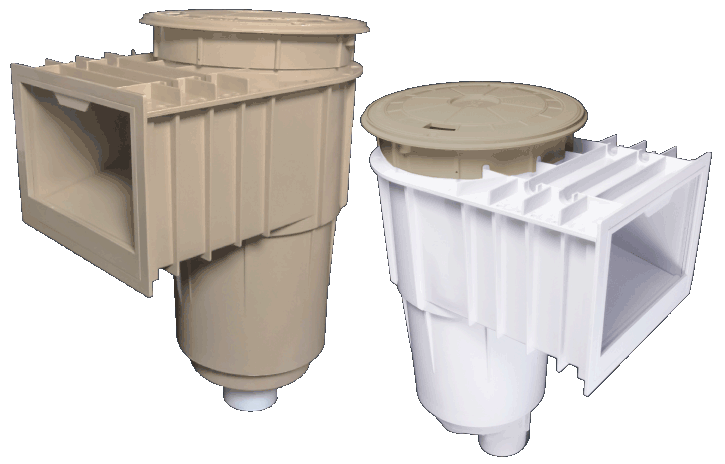 CMP has a full range of skimmer products and accessories for your vinyl, fiberglass or gunite pool programs. Our vinyl and fiberglass skimmers come in regular mouth or wide mouth designs. A wide mouth extended throat model is also available. To save your builder crews time and simplify inventory, CMP offers Skimmer “Builder Kits” in a wide variety of pre-packaged combos. 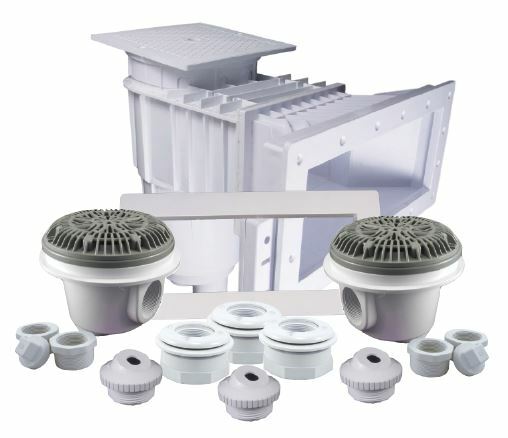 In addition to our skimmer kits look for our pool return kit, vinyl main drain kit, and vinyl light ring kit. Premier selection of skimmers for in ground gunite pools with multiple trim color options. Unibody and ABS/PVC styles available. In ground vinyl and fiberglass skimmers with collar extensions. Regular or wide-mouth options available as well as deluxe models with extra accessories. 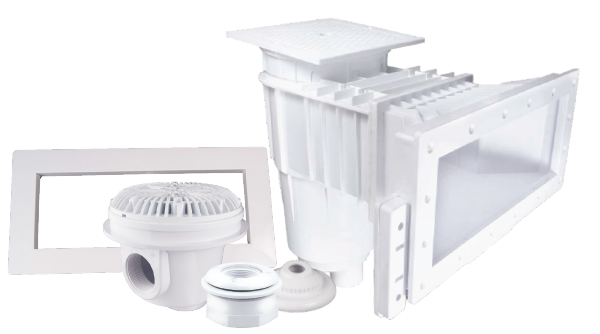 Keep things simple with competitively priced CMP front access and above ground skimmer builder kits. CMP offers a full selection of ABG pool products. Skimmer Options Galore . 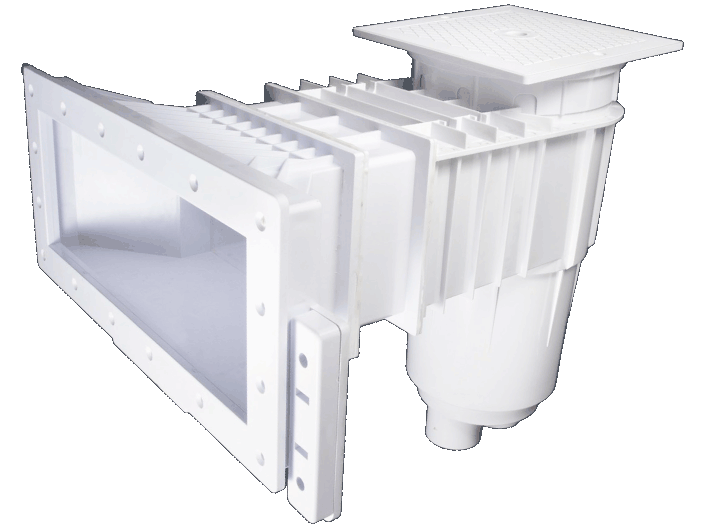 . .
All vinyl and fiberglass skimmers are single piece unibody ABS construction. Deluxe models include vacuum plate and matching faceplate beauty cover. Select models are available in gray. Upgrade your installations! 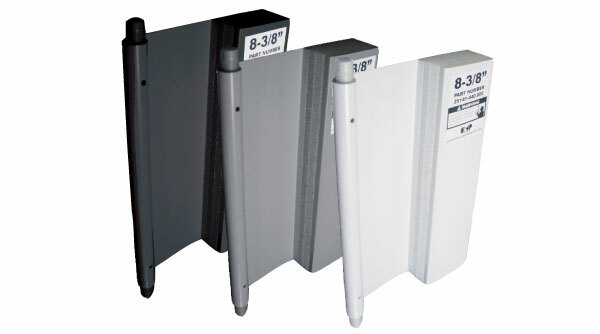 Color trim plates are also sold separately to match and complement vinyl or fiberglass colors. Since 2008 the National Electrical Code (NEC) has mandated that pool water must be electrically bonded. Pool Defender® in ground water bond skimmers with an integrated water bond make it easy to meet water bonding building code requirements. 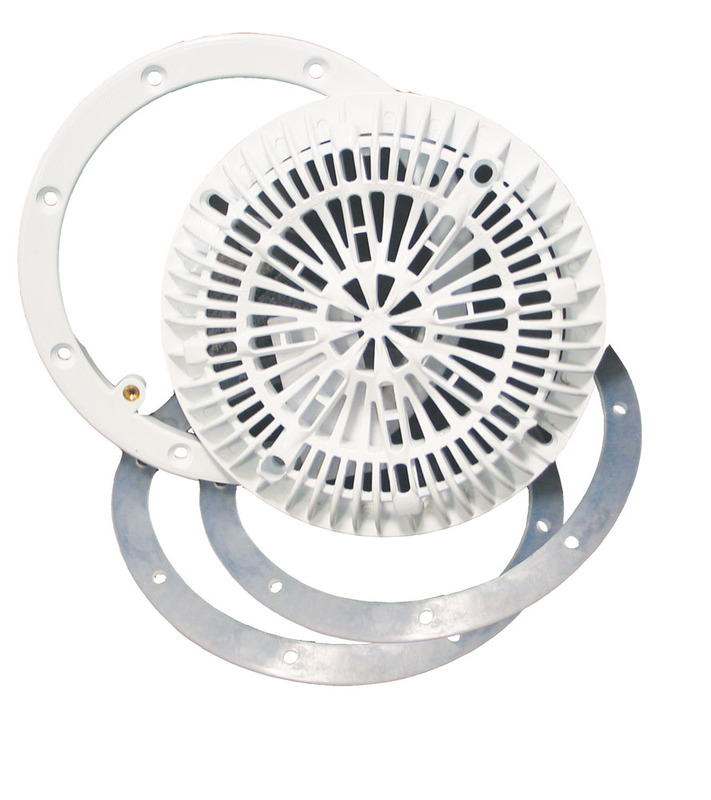 Water bond skimmers are available in a variety of gunite and vinyl skimmer styles. CONNECTS TO POOL BONDING WIRE: Attach to the bonding wire to protect the entire pool. A rubber seal prevents leaks, and there are no holes below the water line. EMBEDDED COPPER WIRE: Copper bonding wire runs safely behind the skimmer basket to the bottom of the skimmer body. STAINLESS STEEL BONDING PLATE: A 304 Stainless Steel plate is placed behind the basket, and locks into specially designed grooves. Add a custom design element to any pool deck. 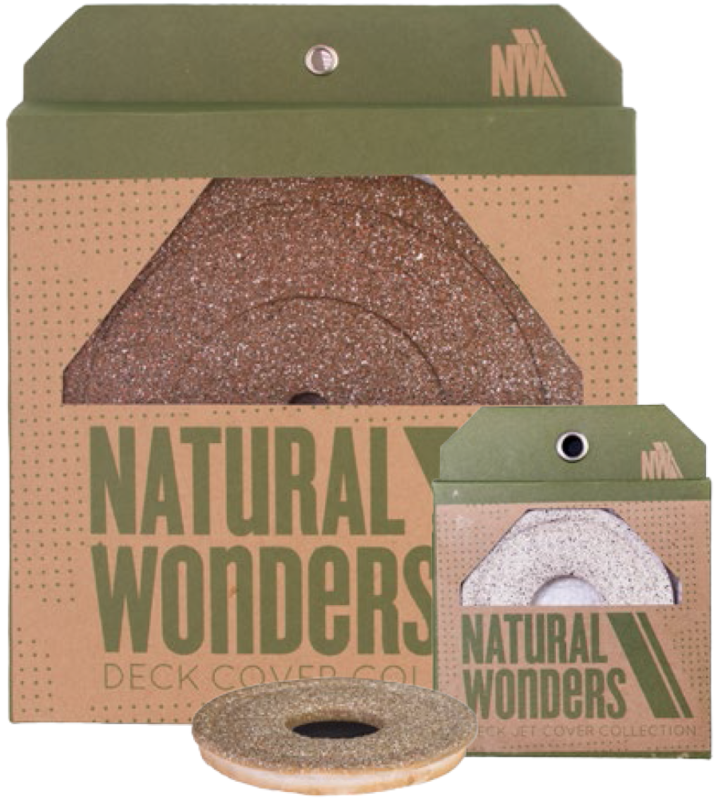 Natural Wonders® Fiberglass Deck Covers from CMP are a brand new way to upgrade your pool deck. Exclusive heavy duty designs from CMP in four popular natural finishes. 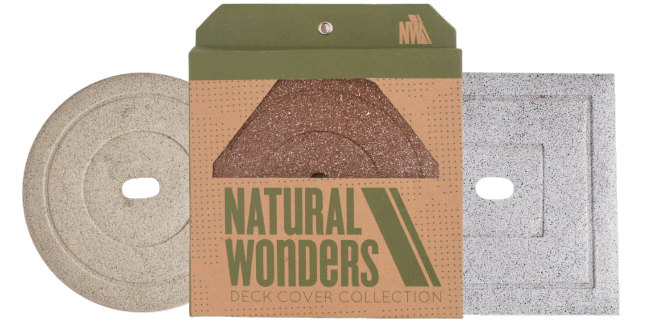 Packaged in awesome retail boxes – a great upgrade aftermarket product. CMP manufactures a premier selection of skimmers for in ground gunite pools. 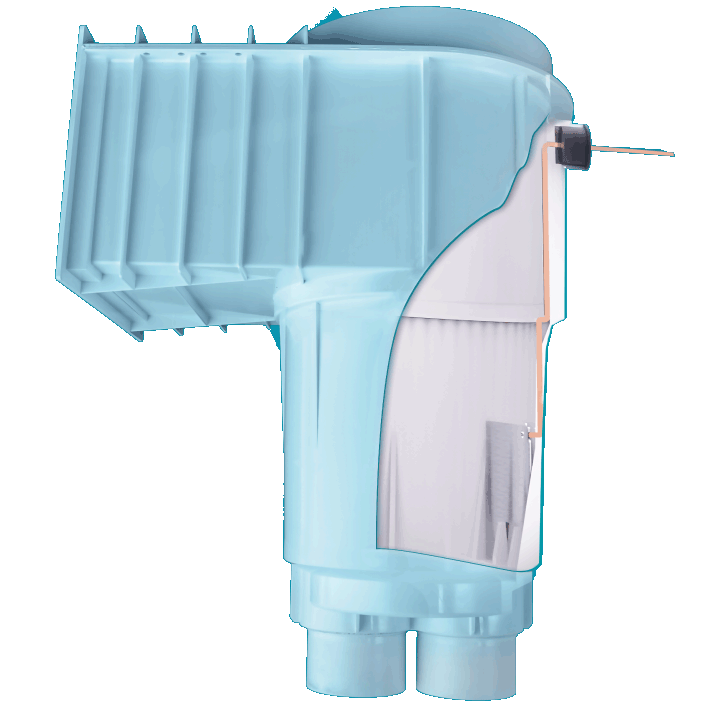 Our skimmers come in a variety of colors, materials and kits to ensure the perfect skimmer for every pool. Read all about proper pool water bonding and how to keep swimmers safe in the CMP Essential Guide to Pool Water Bonding Basics. Every pool needs a Defender®.